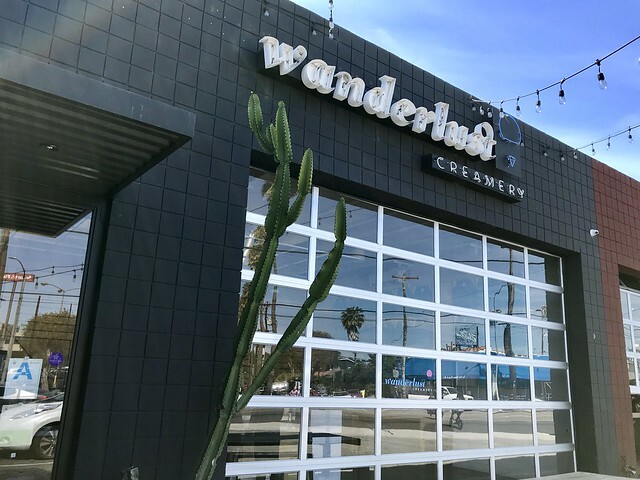 Taking a trip around the world is easy when you visit a Wanderlust Creamery. 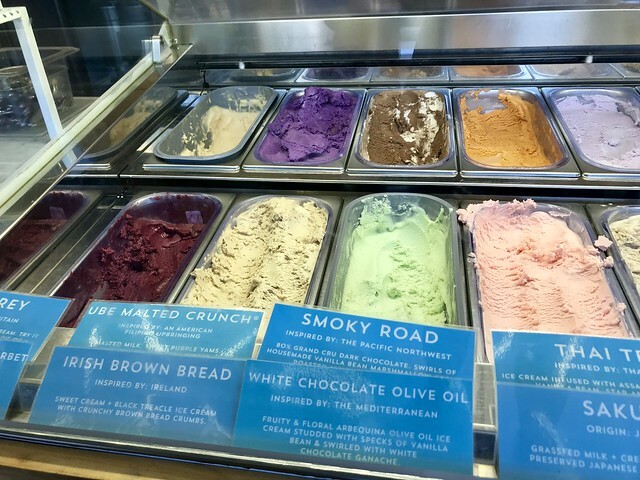 With flavors inspired by the the owners’ childhood memories, travels or places they would like to visit, this artisanal ice cream shop offers a range of tastes from around the globe – from Iceland to China. 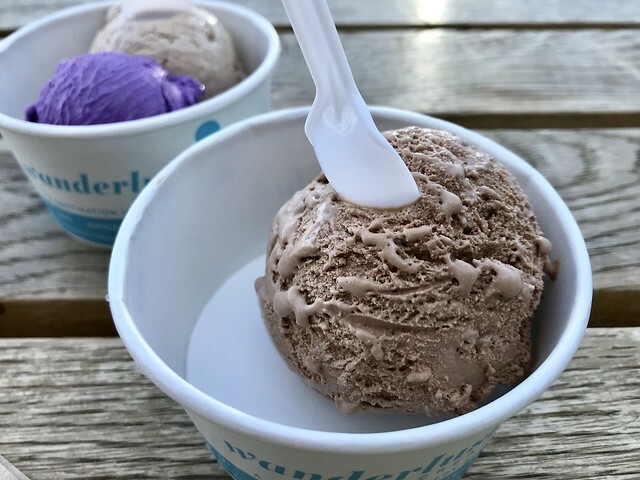 Wanderlust Creamery uses organic Straus Family Creamery milk for their dairy flavors, which makes for a wonderfully creamy base. 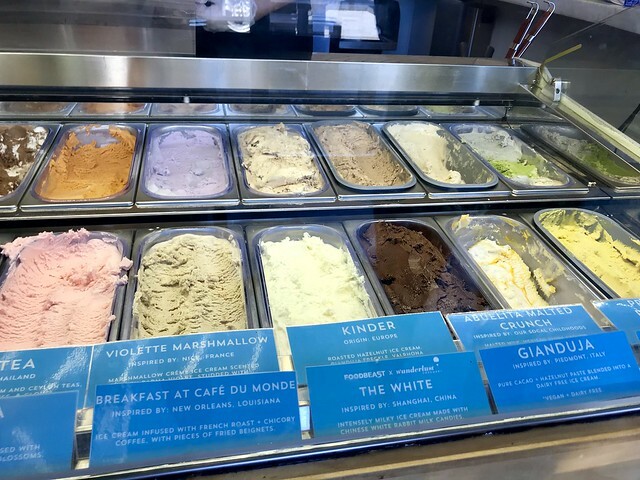 The Venice location has 20 flavors available, complete with the place of inspiration and ingredients. Reading the descriptions of the flavors is part of the fun of coming here. The counter servers will tell you that you are free to try as many flavors as you like. It’s tempting to ask for a sample of each one because they all sound delicious. A single scoop is $5, although you can get two half scoops for $5.50. 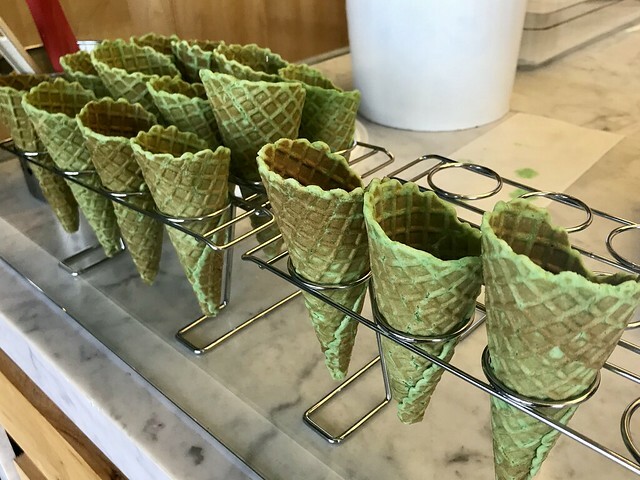 There are three different colored cones available, including an ube and pandan, making that Instagram shot even better. I almost got a cone until I was gripped by common sense, picturing the ice cream melting down my cone as I struggled to get the perfect shot. I regretted my choice when I saw the person sitting next to me with her cone, until I saw that it dripping down her arm while she posed. Smoky Road, inspired by the Pacific Northwest, featured dark chocolate with vanilla bean marshmallow, roasted almonds and smoked sea salt. It was an adult version of Rocky Road, more mature and less sweet. Always a believer in the “more the merrier,” I got two half-scoops. The Abuelita Malt Crunch, inspired by SoCal, had malted milk, Mexican chocolate with cinnamon and chili. With its American Filipino roots, the Ube Malted Crunch also had malted milk blended with the purple yam. Both flavors were suppose to have malted milk pieces, but my scoops were so smooth that there was no crunch. 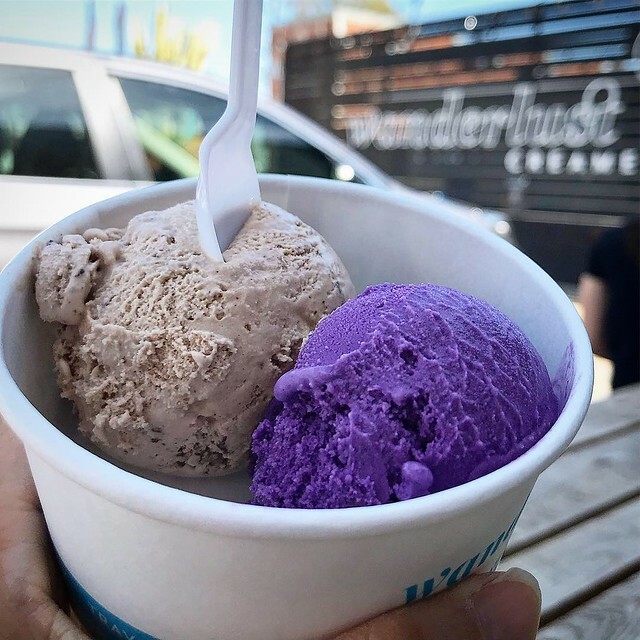 The Ube Malted Crunch looked like it might be a bit overwhelming – however, the flavor was quite restrained, especially when compared to the spice kick of the Abuelita. 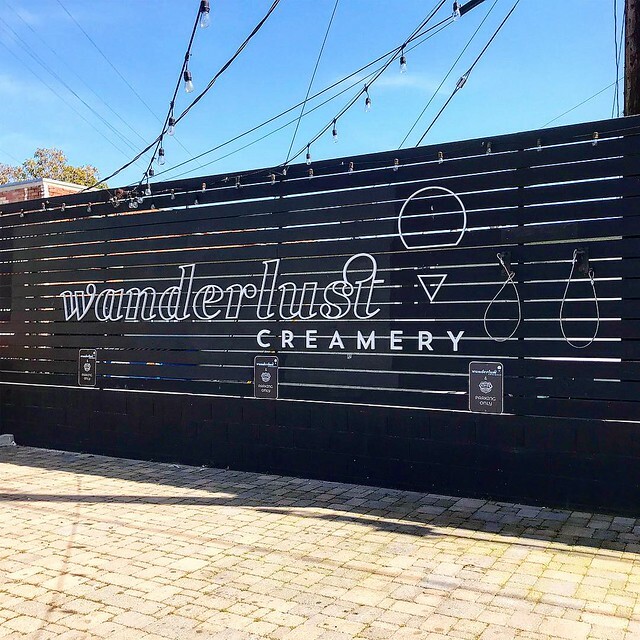 So that next time you’re feeling that yen for travel but lack the time or money, consider a visit to Wanderlust Creamery. For a mere $30, you can take a flight around the world (14 mini cones and scoops) and not have to worry about lost luggage or jet lag. Location –609 Lincoln. Blvd., Venice, CA 90291. Additional locations here.